Volvo just wrapped up their very successful virtual road trip where online teams were to “drive” a C30 DRIVe from Sweden to Egypt. Each team member would “pass” the car on to the next participant who lived as close to 1,333 kilometers as possible, the number being the distance the car can drive on one tank. Friends were competing to be first to complete the virtual journey around the world in 80 days. It was another example of six degrees of separation where teams were formed virtually using a network that extended beyond just the team member’s friends, but further to their friends’ friends. The teams competed to win to have 15,000 Euros donated by Volvo in their name to a wind farm project in Turkey. Not exactly the most exciting prize, however, it is a positive prize for those interested in more altruistic Facebook activities, which are very popular on the site. "To be number 17 on the list of most installed Facebook applications and number one among branded is great and more than we ever expected", says Lukas Dohle, Live Communication and Social Media at Volvo Car Corporation in Gothenburg, Sweden. They had over 63,000 teams play the game. Of course, a team could’ve been just one person installing the application and doing nothing with it after the initial install. Even so, the application definitely reached a very broad global audience and lead to some great press coverage too. What I really like about this example is that it found a way to integrate well within the Facebook community and by doing so it reached a lot of people who might have otherwise never become familiar with Volvo’s C30 product. The charitable element also works very well in the community and I’m sure led to participation from those not really interested in anything about a new car. Another marketing road trip idea was announced a couple weeks ago from Chevrolet. It isn’t a virtual road trip; instead, Chevy put together 8 teams throughout the U.S. to compete in road trip scavenger hunts as teams travel to the popular South by Southwest (SXSW) music, film and social media event in Austin, Texas. Named the “See the USA in a Chevrolet: A SXSW Road Trip” -- I’m hoping for a challenge to include Dina Shore or Pat Boone somewhere in the trip -- the teams will compete for social media views through Twitter tweets or other social media comments and views. Chevy has even setup a Posterous website to house the content developed along the way. They’ll also showcase the road trip using a feed on GM’s well-known Fastlane Blog. 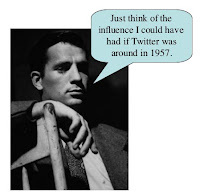 This social outreach concept is developed around the idea that if you get enough influencers your marketing idea will develop a buzz around it that will extend beyond just the people participating in the road trip. It will be interesting to see how the Chevy SXSW event develops. The hardest part is creating interest for those not participating in the event. There will be a lot of buzz shared by trash talking and co-promotion across teams, but will those not on the road trip care to share in the conversation? The connection with the SXSW event should help extend the buzz beyond the teams, since the SXSW event attracts most of the social media elite who might help promote the Chevy road trip and this goodwill should increase interest just because some social media expert is talking about it. It definitely is a strong event tie-in for a road trip that is meant to gain interest using social media tools and behaviors. Everyone can follow the teams using the hashtag #chevysxsw on Twitter and at the Posterous website Chevy is setting up for when it kicks off the week of March 8. I’ll definitely be following to see if it extends reach beyond just the participating teams. 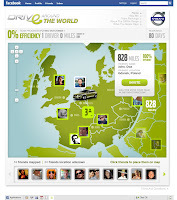 It would be great to know how much Volvo spent or Chevrolet will spend promoting and implementing these road trips. 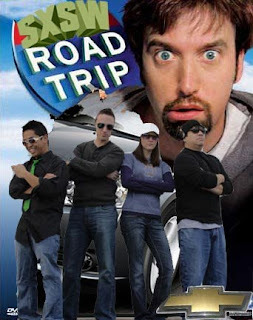 Reach is definitely an important aspect of the road trip marketing idea. Getting people interested in participating on virtual teams or promoting real teams all add to the word of mouth of the projects and hopefully reach consumers who might never pay attention to a TV ad or online banner. The important ingredient is making the events relevant to consumers. Volvo did that through a contest where a charitable donation was tied to the goal. The Chevy event will have a more difficult time extending the interest beyond those participating. Here’s to viral magic whether it’s virtual or real. “We had finally found the magic land at the end of the road and we never dreamed the extent of the magic."